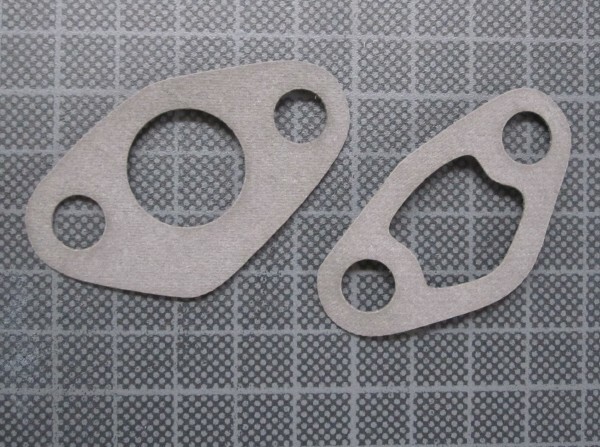 Oil pump gaskets can be cut from 0.2mm gasket paper manually or with a laser cutter or an oscillating knife. NB: the left hand side gasket in the photo turned out to be copied from a bad example, hence it doesn't fit. It will be replaced with an improved version later.